Four famous generals from China's distant past, including Yuchi Gong and Qin Qiong now worshipped as "Door Gods"
﻿unexpected bonus - replete with a colourful ten storey pagoda, the splendidly named "Temple of Dragon Mountain"! 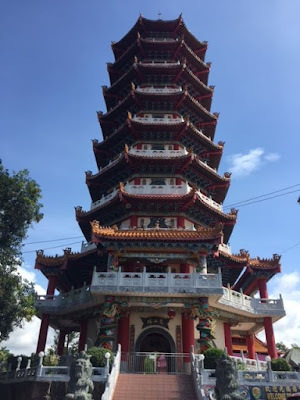 While the Malaysian-Chinese locals I travelled with described it as a Daoist Temple, puzzlingly a large sign painted on a wall next to it described it as Ling San Buddhist Temple? In the West it is often assumed that there are clearly demarcated lines between China's different philosophies. However, in the day to day lives of the Chinese the lines are in reality more blurred. Walking through the temple the philosophies of Daoism, Buddhism and Confucianism co-exist harmoniously: statues of the Daoism's iconic Eight Immortals and various deified warriors from the China's distant past; a giant smiling golden Buddha; figures from the Buddhist classic Journey to the West including Tripitaka and his companions the Monkey King, Sandy and Pigsy; and a statue of a benevolent looking Confucius sitting solidly in a prime spot. These are accompanied by many images and figures from fearsome Jing Gang subduing demons to murals of various dragons and other colourful beasts, deities and young maidens. I read an article recently by Chen Jinguo, a scholar of the Chinese Folk Literature and Art Society, who suggested that folk religion represents a core element of Chinese cultural self-awareness. 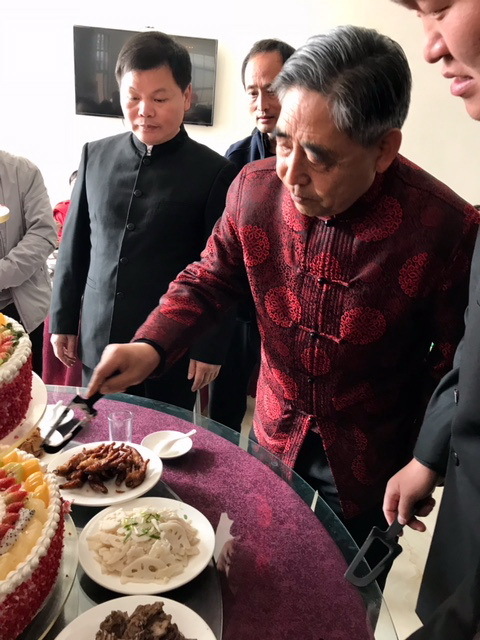 While Professor Han Bingfang of the Institute for Research into World Religions at the Academy of Social Sciences in Beijing went so far as to call Chinese folk religion the "core and soul of popular culture". Chinese martial arts, including Taijiquan, being an important component of Chinese culture have inevitably been influenced by these forces. Taijiquan is often simplistically referred to as a Daoist martial art. A cursory examination of its names shows that it too draws from this common culture: the Chen Family Rules are typical Confucian standards of idealised behaviour adopted by many clan groups; the underlying philosophy of naturalness and of using softness to overcome hardness are clearly drawn from Daoism; while the postures in the form such as Jing Dang Dao Dui (Buddha's Warrior Attendant Pounds Mortar) show the influence of Buddhism. What all three philosophies have in common is the idea of an integrated universe balancing the three components of "heaven, earth and man". Weapons training has always played an important part in the Chen training curriculum. 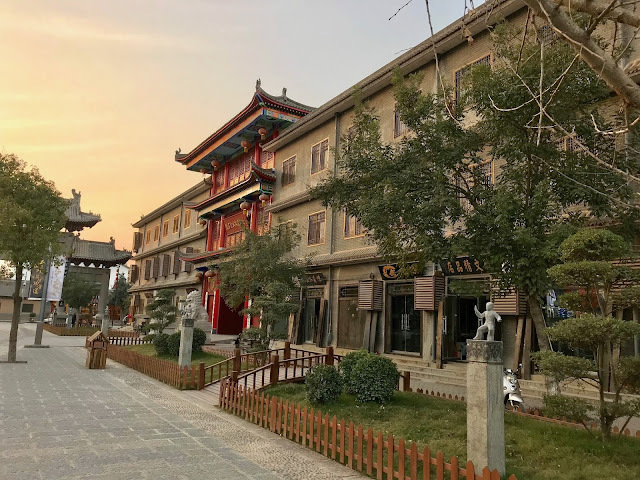 At the time of its creation, Chen style Taijiquan was practiced essentially to develop the martial and military skills of the villagers of Chenjiagou. Without a doubt the training would have greatly enhanced the health of the Taiji boxers but this did not provide the main reason for practicing the skill. In Chen Wangting’s day guns had yet to make an appearance; traditional weapons were still being carried onto the battlefield and used in actual combat. 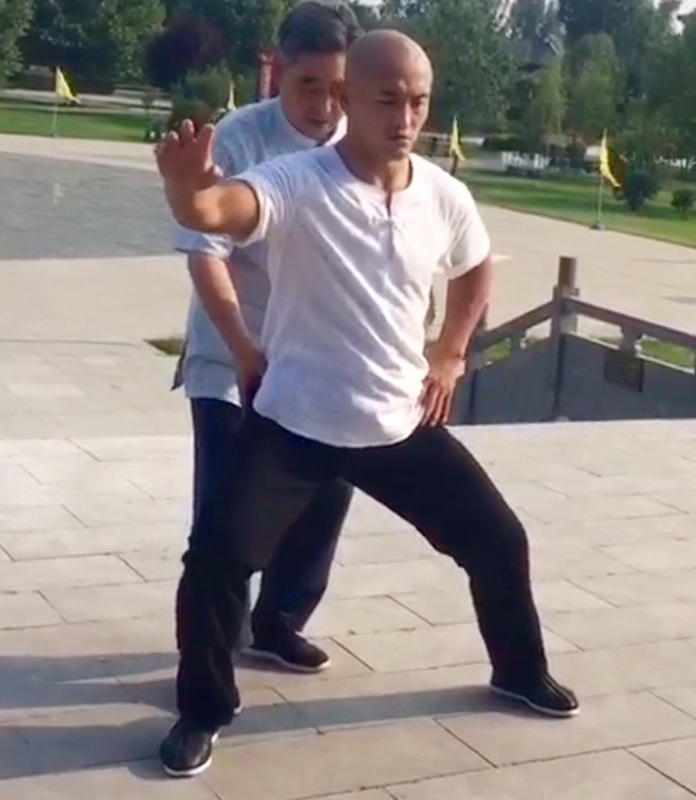 Today, the weapon routines of the assorted Chinese martial arts are considered by most people only from the perspective of demonstrating or exercising in the park. Viewing the Chen weapon forms in this way shows a superficial appreciation of their fundamental nature. Preserved within each of the Chen weapons routine is a complex martial training manual. As well as the flexible sinuous movements, the forms include numerous dynamic actions, swift changes in tempo, and fierce chopping, slicing or thrusting movements. 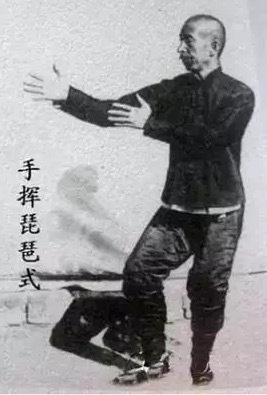 Viewed in the light of the whole system, weapons training add to the barehand training of the Chen Taijiquan exponent by magnifying certain requirements. 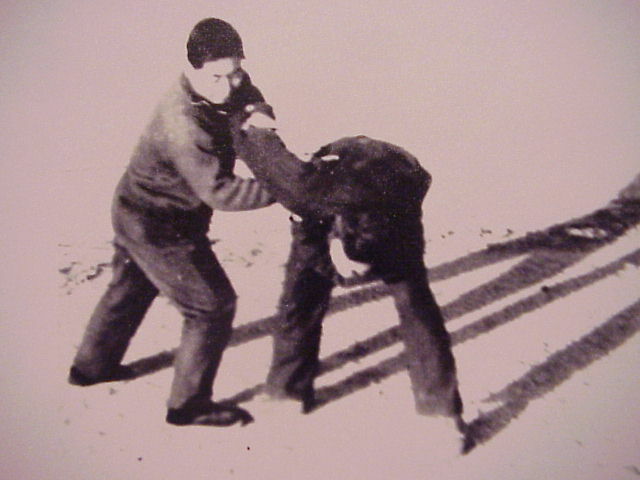 For instance, the mind and intention must be extended all the way through the length of the weapon; movements must stay relaxed, agile and efficient at the same time as controlling a weighty object; and footwork must be lively and responsive to permit rapid changes in the actual fighting sequence. 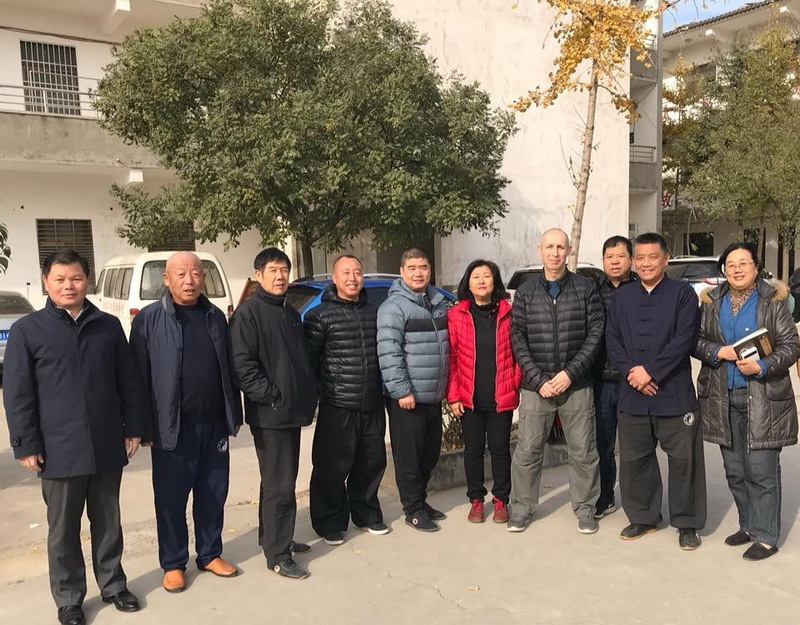 Within the training curriculum of Chen style Taijiquan numerous weapons are still practiced today, including sword (jian), broadsword (dao), spear (qiang), halberd (guandao), pole, double-sword, double-broadsword and double iron mace. The sword is one of the most ancient weapons in Chinese martial arts history. Archaeologists have uncovered swords from as far back as the Bronze Age. When the Terracotta Army was unearthed in the early Chinese capital Xian, a find dating back to the Qin dynasty more than two thousand years ago, the officers and generals were found carrying swords. 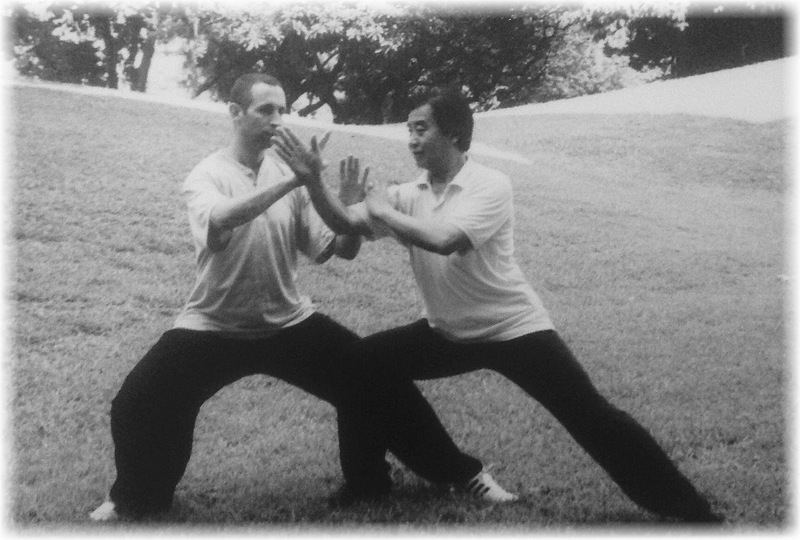 In Chen Taijiquan, the sword used is generally light in weight, with a flexible blade. For the Chen Taiji swordsman, success on the battlefield depended more upon skill, precision and speed. Chen Taijiquan contains one single straight sword form consisting of forty-nine postures. The forty-nine postures can be sub-divided into thirteen basic techniques: thrusting downwards (zha); level or upward thrust (ci); pointing by flicking the wrist (dian); chopping (pi); slicing levelly or obliquely upwards (mo); sweeping (sao); neutralizing in a circular path (hua); circular deflection with point uppermost (liao); hanging (gua); pushing up (tuo); pushing (tui); intercepting (jie); and raising opponent’s weapon overhead (jia)”. The sword’s flexibility allows the proficient swordsman to inflict injury from a great range of angles utilizing many diverse techniques. Its great versatility has led to the saying that there is “no gap the sword cannot enter, and no gap that another can enter”. 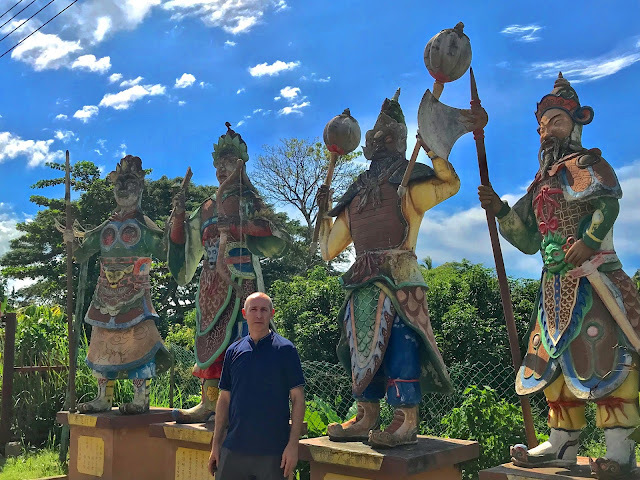 The different weapons help to train the many diverse qualities essential in honing a “Taijiquan physique.” Practicing the Chen sword form allows an exponent to develop the ability to project energy in a relaxed manner to the tip of the sword. It also helps to create an efficient Taiji body, with repeated practice loosening the large joints such as the hips and shoulders, as well as helping to increase the suppleness of the wrists and hands. The Chen Taijiquan Broadsword form is short in length and dynamic in nature. Although classified as one of the system’s short weapons, the broadsword can cover a surprisingly long distance by utilizing explosive leaping and jumping movements. Movements can be performed in different ways depending upon the ultimate objective of practice. Often the routine is executed with long, low stances as a way of conditioning the body, increasing one’s power and speed. As a means of overall body training, the explosive leaping and jumping movements much in common with modern plyometric training exercises used by many of today’s elite sports performers. Simply put the combination of speed and strength is power. For many years coaches and athletes have sought to improve power in order to enhance performance. Throughout the last century and no doubt long before, jumping, bounding and hopping exercises have been used in various ways to enhance athletic performance. In recent years this distinct method of training for power or explosiveness has been termed plyometrics (Flach, 2005: 14). 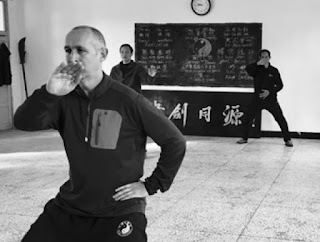 In Chenjiagou, Taijiquan exponents have long understood this method of training to enhance the explosive reaction of the individual. When training for combat use, however, using very low stances, prevents the dexterity and fleetness of footwork required in a real conflict. The Taiji boxer focusing on training the applications within the broadsword routine would usually practice in a higher posture to enhance mobility. 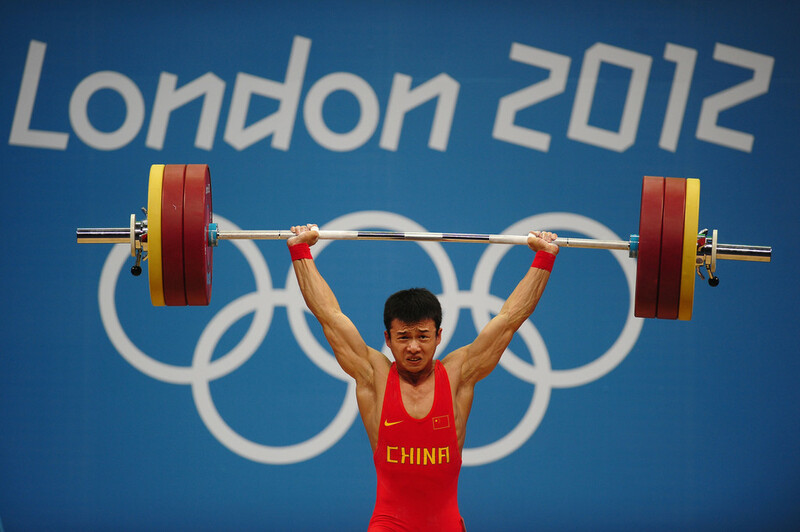 Consequently, to achieve both martial and conditioning benefits, practitioners in Chenjiagou have traditionally trained over a range of heights. 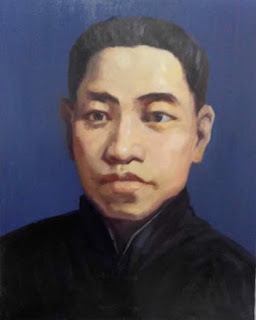 As well as its short weapons, Chen Taijiquan also has a number of weapons for long range combat, including the halberd, long pole and the “King of Weapons” – the spear. An often-cited phrase -“one hundred days to practice broadsword, one thousand days to practice spear” – reflects the intricacy and level of difficulty contained within the form. Also known as the “Pear-Flower Spear and White Ape Staff” (Li Hua Qiang Jia Bai Yuan Kun), the Chen Taijiquan spear is trained through a form that includes the functions of both spear and staff. The routine dates back to Chen Wangting, making it one of the earliest Taiji forms. 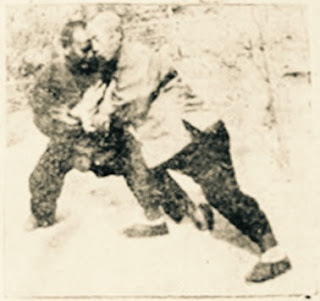 In his comprehensive review of Taijiquan, The Origin, Evolution and Development of Shadow Boxing, Gu Liuxin cites the evidence gathered by historian Tang Hao, who came to the conclusion that the texts of the famous Ming general Qi Jiguang had a profound influence on Chen Wangting’s creation of Taijiquan. 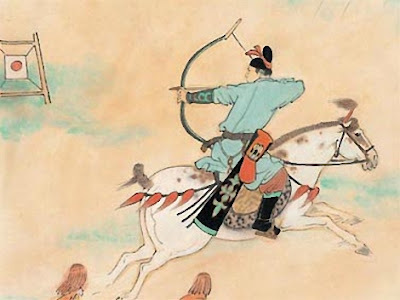 Qi’s military training text, in turn, documented the spear techniques of the Yang Family 24-Spear Form. 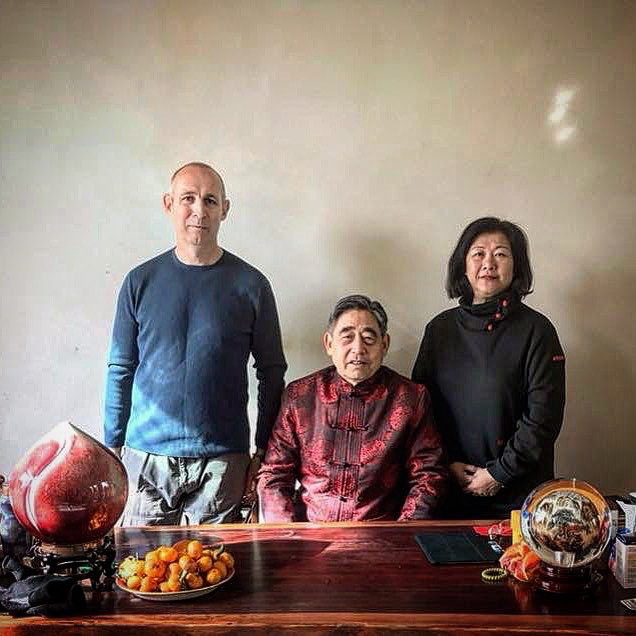 The Yang family in question refers to a renowned female warrior of the Song dynasty, who used the form to avenge the slaying of her male relatives, so should not be confused with the Yang Taijiquan family. form in both posture and name. Its uniqueness came as a result of the application of Taiji movement principles to the existing method. 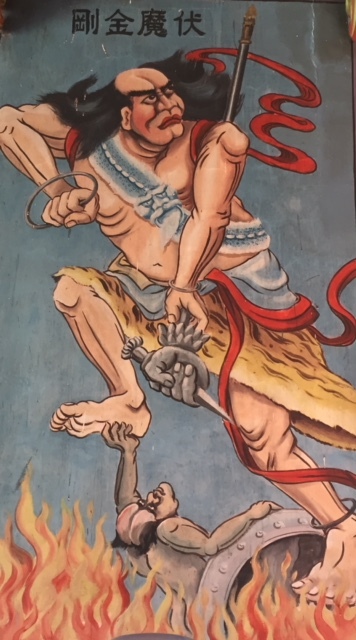 In the ensuing years, the Chen spear form has increased from 24 to 72 movements with the addition of a variety of staff movements. Watching a skilled exponent performing the, its martial roots are immediately apparent. The overall tempo is forceful, direct and rapid with few movements being done slowly. Today it is highly unlikely that anyone would need to use the spear for its original combat purpose, yet the Chen family spear form remains a highly practical training tool. Spear practice enhances barehand skills by improving balance through the use of intricate and rapid stepping movements as well as developing upper body strength and overall flexibility. 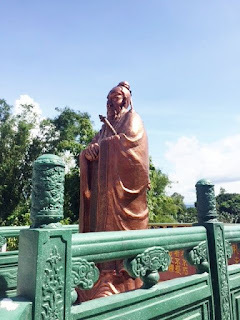 Wangting, alias Zhouting, was a knight at the end of the Ming dynasty and a scholar in the early years of the Qing Dynasty. He was known in Shandong Province as a master of martial arts, once defeating more than a thousand bandits. He was the originator of the barehanded and armed combat boxing of the Chen school. He was a born warrior, as can be proved by the broadsword he used in combat. While the individual names of the weapon or hand forms describe the movements, the halberd form is unique. Each of the thirty movements of this form is given a seven-character song or poem. When taken in their entirety, they recount the story of General Guan, a famous warrior from the turbulent Three Kingdoms Period (A.D.25–220) of Chinese history. Consequently every time the form is practiced, his exploits are re-enacted. Contemporary practitioners should not overlook the importance of the weapons routines as they offer a tangible link to past generations. The forms are at once practical and aesthetic. Artistically pleasing to watch, the weapons routines are physically complex and demanding to complete. Many of the weapon forms have changed little since the time of Chen Wangting. 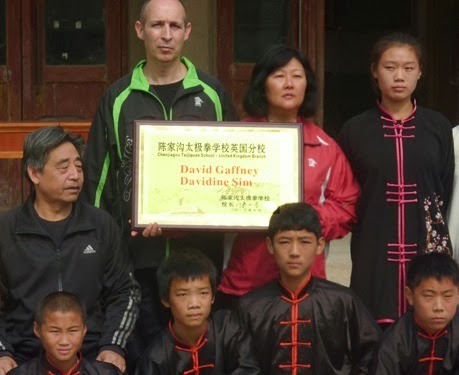 Consequently they provide a window to the origins of Taijiquan and represent an important legacy to today’s Taijiquan practitioner.